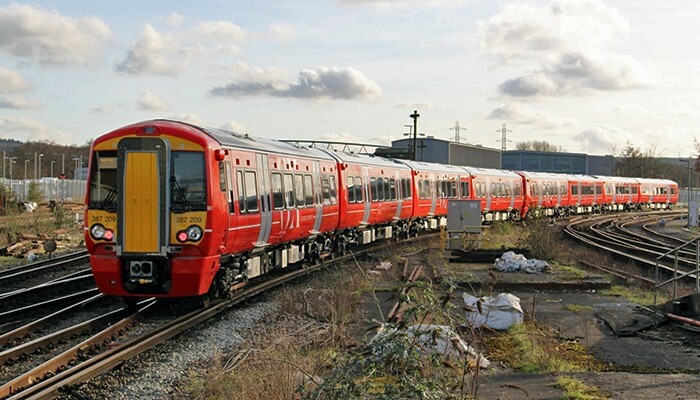 With the new Gatwick Express class 387/2 units having first entered service on Thameslink services the remainder of the thus-far delivered fleet is being seen preparing for introduction on Gatwick Express workings. 387201, 387202 and 387203 are, at the time of writing (19th February 2016), in service working Thameslink services unbranded but with Thameslink route maps in their interiors. 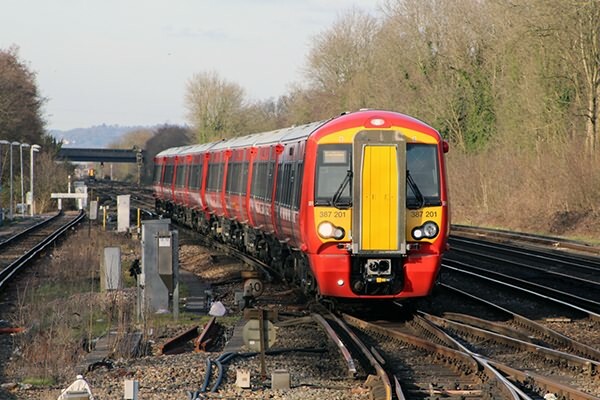 Units continue to be commissioned out of Bletchley with regular mileage accumulation runs to south of the Thames whilst others are being used for driver training on variety of routes. 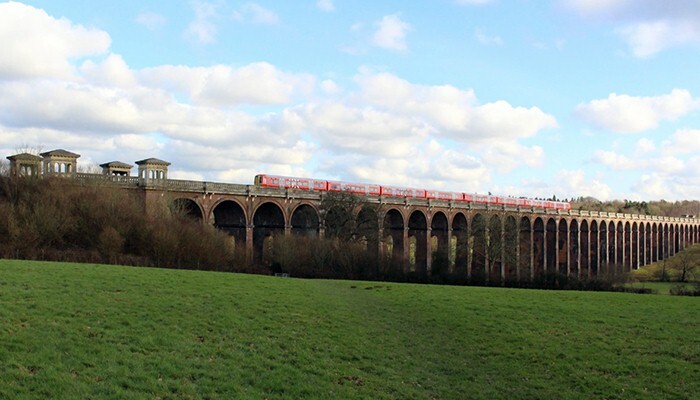 (above) Across the picturesque viaduct at Balcombe 387212 and 387204 working northbound on the 08+36 Bletchley - Brighton - Bletchley commissioning run. (below) 387201 leads 387203 into Three Bridges with 12:55 Bedford - Three Bridges service. In the distance 2420 and 2414 head north with 14:48 Brighton - Victoria; the 387/2s will soon replace the comfortable mk3 units. (above) Not long after 387208 and 387209 arrived with 14+05 Littlehampton - Tilgate sidings crew training run, and are seen alongside 387201 and 387203 waiting to head to Bedford with their next service, the 15:29 from Three Bridges. (below) Then 387209 and 387208 shunted into the sidings. This pair and 212/204 carry the new "GX" Gatwick Express branding. 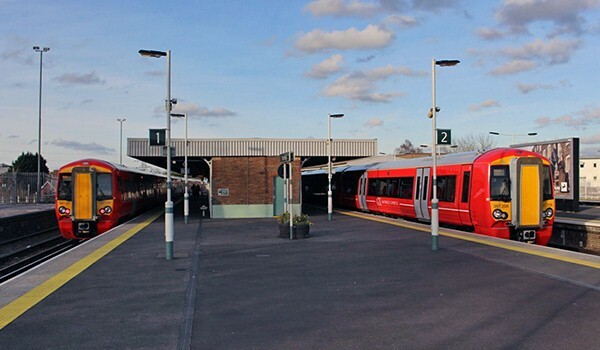 This picture shows the Gatwick Express branding clearer. Looking along a unit, either side, left to right the order is big GX (i.e. almost full carriage height and over the windows), small GX (i.e. below the windows), big GX and small GX such that each carriage has have a big GX one side and small GX on the other.